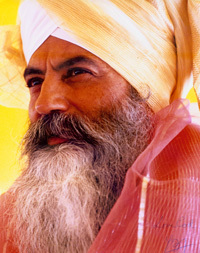 In the early seventies, Yogi Bhajan (who would later be know as Siri Singh Sahib Bhai Sahib Harbhajan Singh Khalsa Yogiji) began to teach in the United States. 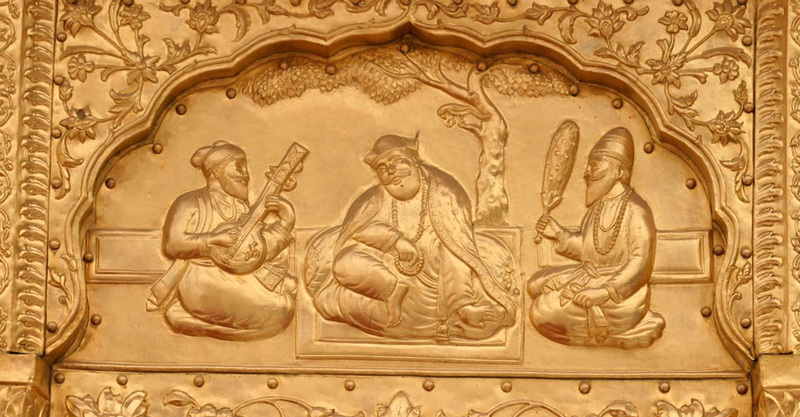 Through his inspiration, insight, and example many Westerners began adopting the Sikh way of life, attracted by the spiritual practices of Sikh Dharma and its egalitarian teachings that respect all religions. The Sikh religion began in India a little over 530 years ago and since then Sikhs from the Punjab region of India, who make up less than 2 percent of the population of India, have migrated throughout Europe, the Americas, and Asia, numbering about 28 million worldwide.Sikhs do not convert people. Sikh populations everywhere participate enthusiastically in outreach activities and contribute to their surrounding communities. The Sikh teachings encourage people to live their lives in service to others, but not as beggars or in poverty. Instead they believe in creating abundance, peace, and prosperity throughout the earth, to serve humanity, and to build interfaith dialogue and cooperation. Sikh Dharma International is a non-profit religious organization sharing the universal teachings and lifestyle of the spiritual path of Sikh Dharma through service, education, and community so that every human being can experience their divinity, spirit, and fulfillment. The teachings and technology of Sikh Dharma are found in the Siri Guru Granth Sahib, the writings of the Sikh Gurus, and have been shared and taught by Siri Singh Sahib Bhai Sahib Harbhajan Singh Khalsa Yogiji. It is a California-registered non-profit 501c(3) organization that serves the needs of the global Sikh sangat (community). There are many affiliates of the organization around the United States and many communities around the world that we serve. 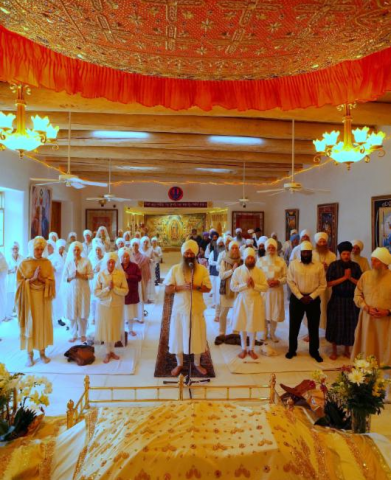 The headquarters for Sikh Dharma International is located in the beautiful Espanola Valley in northern New Mexico, at Guru Ram Das Ashram with an additional office in Los Angeles. 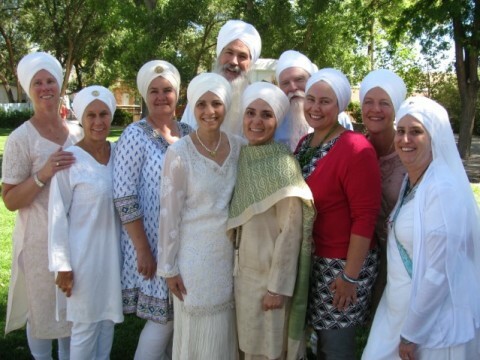 As a global organization, we serve the Sikh Dharma International Family all around the world. Part of the primary mission of Sikh Dharma International is to preserve, organiz,e and continue to share the teachings of the Sikh Gurus as described by the late Siri Singh Sahib in his unique style. His way of talking and teaching about the path of the Sikh has made the Sikh faith accessible to people from every background, language, and culture of the world. With utmost gratitude to God and Guru, those of us serving the Global Community through this work at Sikh Dharma International, feel it a special privilege to be a part of this Legacy. The International Khalsa Council was formed in October 1974 by the Siri Singh Sahib as a leadership body to serve the vision and mission of Sikh Dharma International and its affiliate organizations. The Khalsa Council meets twice a year, bringing together Ministers and teachers from our global communities and from our non-profit and for-profit entities, providing a unique forum for visioning, discussion, collaboration, and education. Together we are building the foundation of a sovereign spiritual nation and supporting our outreach, service programs, and global sangats using Aquarian leadership principles. We live in the world Sir Isaac Newton described, bound between levity and gravity. The Siri Singh Sahib (Yogi Bhajan) loved to quote Newton’s law of physics, “action creates reaction.” Levity and gravity also apply to our lives as Ministers. The levity is our vision, supported by our sadhana and delivered in our transmitting the Teachings–the gravity resides in the minutia of our daily routines that can divert us from our faith and our vision. The only truly consistent way to combat this natural phenomenon is with the support that Guru Nanak voiced in, “Let me be in the company of the Holy so that I may remember Your Name in their presence.” This is who we are as a body of the Khalsa Council; we are that supportive company of the Holy that allows each of us to live in our levity while dwelling in the nature of gravity. That is why we, as a body, were invented by our teacher, (I remember the moment) and that is why we meet to grow from individual consciousness to group consciousness to universal consciousness. I was blessed to witness and participate in January 1969 seeing Yogi Bhajan start with only $38 in his hand and go on to build his vision worldwide. There was a moment we were sitting with him all struggling to meet the monthly mortgage on the first yoga center. That was the gravity of that specific time and space. Listening to his faith speak to the few of us who were there–that was the moment’s levity. Always thinking beyond gravity he said, “Don’t worry, I will lecture to millions some day; I see myself on top of a mountain with crowds in front of me.” At that time we had never had a Summer Solstice celebration, he had never been to the mountains of New Mexico and of course there was no land owned in the Jemez. We were just trying to get the $235 to pay the monthly mortgage on the first center—obviously we did and his vision came true. In that beginning time we were a prairie of dry grass and Yogi Bhajan was a Master with a match. He lit the match and we erupted in the light of the Teachings. The time was right and the match was lit and his vision worked its magic. By the Grace of God and Guru Ram Das we, as Ministers and members of the International Khalsa Council, are now the custodians of those sacred and timeless teachings. God knows, this world is full of the “dried grass”–people longing for many lifetimes for the Master’s touch and we have that touch now within our grasp—our own hands.